VAPN needs a place to host the BPQ32 suite. My son, KJ4FAJ, about had a cow when I told him the price I paid for the SuperServer 5018A-TN4. He envisioned a hand assembled case with a nice ATX motherboard, power supply, etc. He came up with a price tag of a few hundred dollars. I went through this trade study as well quickly realizing for a couple hundred more I could have an off the shelf product ready for rack mounting… just add components and go. Let’s review some history towards the decision to use the Supermicro product. ECC DRAM – All my linux servers of success were easily an order of magnitude more reliable than machines with non-ECC memory. The price difference is just too small to toss aside this easily achievable benefit. Arguments exist that contradict my observations, but my experiences are too numerous to ignore. 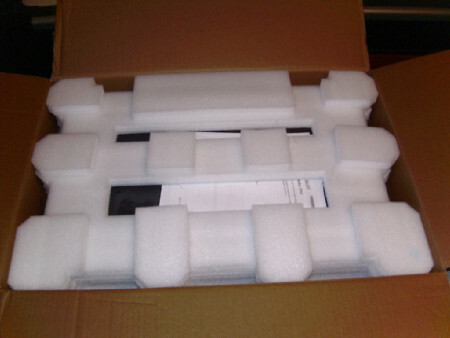 Rack-mount ready – There is nothing worse in a professional radio room than gear that does not look like it belongs. 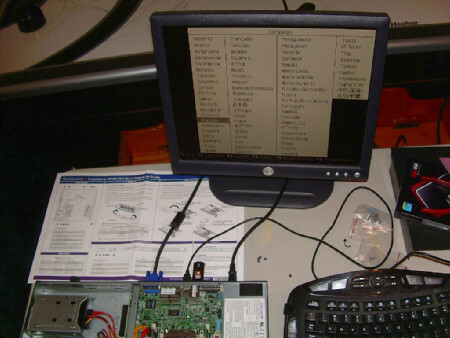 Numerous PC products exist ready for rack mounting. Some of the previous generation servers are enormous beasts, but some recent small stature makes/models are now available. Rack space is always valuable real-estate. A PC system in 1U is a good target. AC power – Our goal is for every rack mount sub-assembly to have its own AC power jack on the back. Plenty of DC powered industrial computers exist, but it will be “so nice” to have an AC/DC power supply designed into the processor assembly. No rack rails – For truly heavy or deep rack assemblies, rack rails are a must. It’s nice when you don’t need them and can just screw the item into the front rails and not worry about weight pulling too hard on the rack ears. Cooling via front and rear vents – Vertical space is precious so having gear that can stack atop one another without blocking critical ventilation is a benefit. Low power – Running BPQ32 should not be too demanding on processor resources. Something that maintains at least some thriftiness in the power consumption department will be nice. Reliable storage media – I don’t loath SSD drives as some do, but there has to be at least some reasonable path towards reliable operation. Otherwise a good ole’ magnetic drive will be just fine. 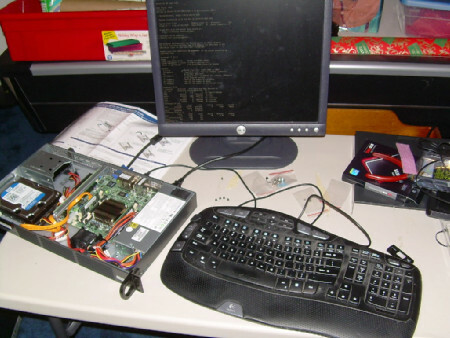 Yes the R-Pi was a contender for hosting BPQ32. Plenty of successful examples exist in the packet radio world. The problem for us was the potential lower reliability of a flash-card based system. The R-Pi requires housing, power supply and other components to yield a system worthy of residing in a professional hilltop radio rack. All these extras require time, parts and design effort. 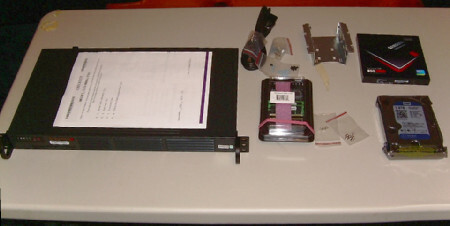 The end result is a system that is still a flash-card based system. The R-Pi has a use, but not for the VAPN main BPQ32 processor. 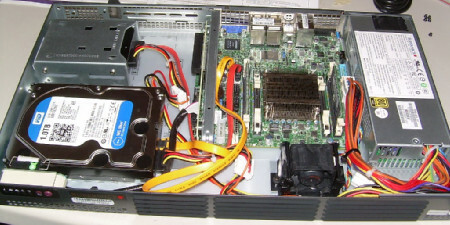 Supermicro server along with components to install. Supermicro server as it comes. Supermicro server with magnetic disk, SSD disk and memory installed. Moving through the Ubuntu setup. 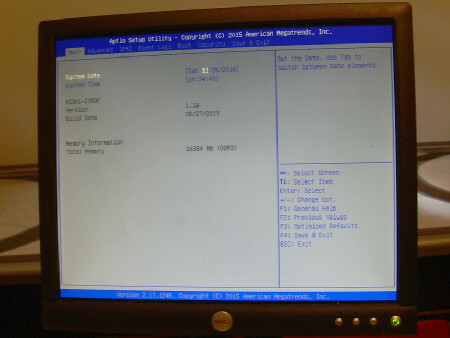 Supermicro server with Ubuntu installed on magnetic drive. 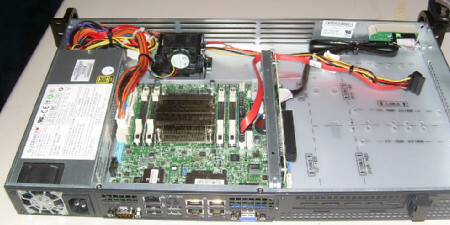 The Supermicro comes in two models: one with front connectors and another with rear connectors. For VAPN use, rear connector model was the easy choice and that’s what you see above. Purchasing the correct memory for this Supermicro server takes a bit of study to get correct. Fortunately the two 8 GB devices we selected work without a hitch yielding a comfortable 16 GB system RAM… a nice value for any thrashless Linux machine. Try as I might, and with my son’s help, we could not get the 250 GB SSD drive to be adequately reliable enough to get through the format process. BUMMER! We disconnect the SSD leaving only the Western Digital 1TB Blue drive (5400 rpm for lower power consumption). The Ubuntu installation process (via a bootable 13.10 image on a thumbdrive) went smooth afterwards. Why 13.10 and not a newer Ubuntu? 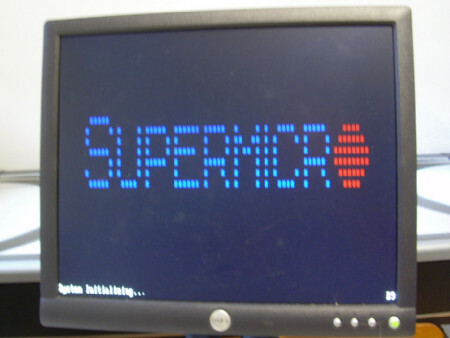 Supermicro publishes compatible operating systems and versions. The Atom processor column has 13.10 listed for Ubuntu. We have no time to experiment, don’t need the latest and greatest so 13.10 it is. A new linux system is born and now is going through a honeymoon period as we go through the next phase of adding the BPQ suite, TNC, etc.